Thoughts from Brahma Kumaris: True service is to be free and make others free from obstacles. 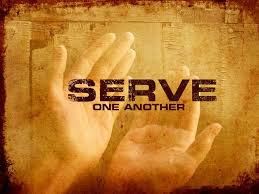 True service is to be free and make others free from obstacles. Projection: When we are involved in a task, we totally think about ourselves irrespective of what effect it has on others. Such an attitude sometimes takes on the form of selfishness to the extent that we become an obstacle for others. Solution: We need to check ourselves whenever we are involved in a task if what we are doing is effecting others positively or negatively. Whatever we do, only if there is benefit for us as well as for others, can we call it truly successful. People affected by anger lose their temper and become excited at the slightest provocation. Yet, when the event is over they find peace in going back to their normal nature. The same applies to all the other vices (greed, ego, lust and attachment), which are at the root of all emotional disturbances, strains, tensions and imbalances. This indicates that the vices are not the original nature of the soul. If the soul thinks about its original nature and does everything with the realization "I am a soul, not a body," its original qualities reappear naturally. They are its basic values. It is worthless seeking them externally. It is like the musk deer running after the sweet smell of musk, unaware that it is coming from its own navel. Peace of mind is the soul’s property. It automatically flows from within it once it is soul-conscious. The soul only has to let its original sanskaras become thoughts and keep them flowing. Whatever thoughts are in its mind that is the state it experiences. Soul-conscious thoughts bring peace of mind. Body-conscious thoughts disturb the soul. It is the soul who decides what state of mind to experience. It can either be peaceful, or in peacelessness. It is the soul who has the power of decision. The situation should not dictate to the soul.